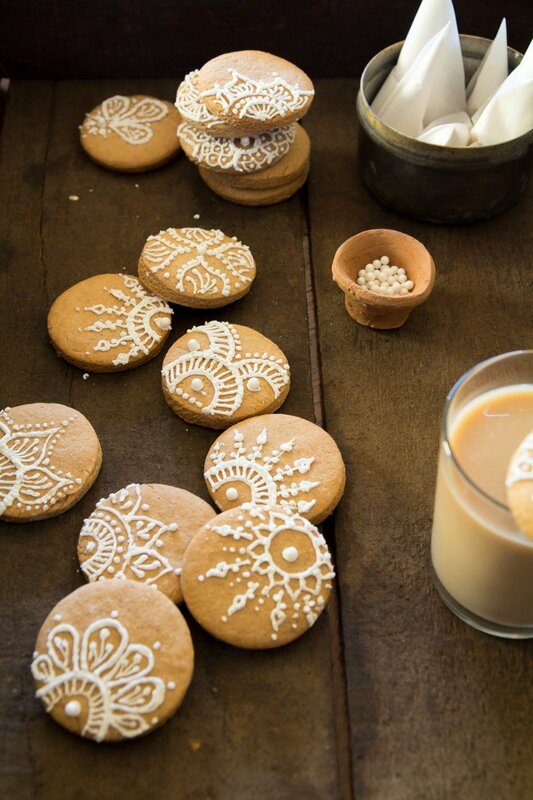 Cookies are my favorite thing about the holidays. I love to bake them and share them with friends and family. This year I almost didn’t get around to the holiday baking though. Since we spend Thanksgiving and the two following weeks in India, it didn’t even feel like the holidays to me. When we finally got back home, I had a lot of work to catch up on and our sleep cycles were completely opposite from the jetlag (a 13.5 hour time difference for three weeks will do that to you!). The only thing I wanted to do was sleep. Baking was the last thing on my mind. Then suddenly I felt better and inspiration struck, it was three days before Christmas, but better late than never! 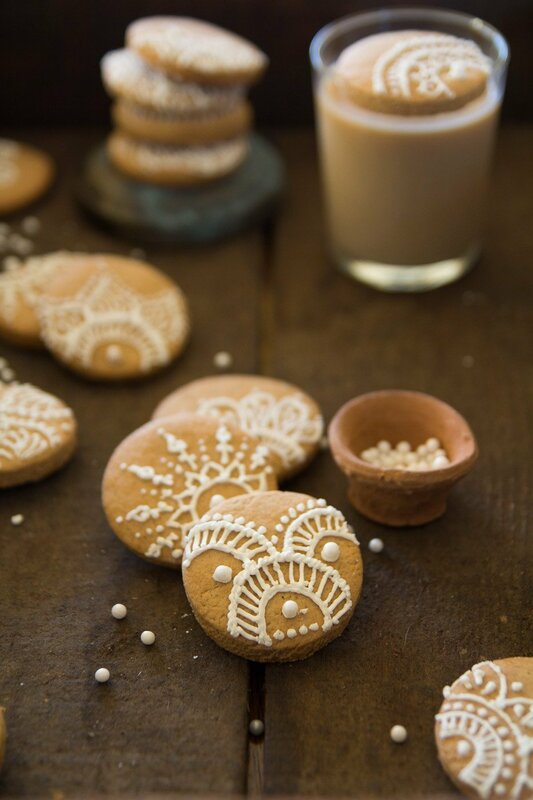 And since India is still very much on my mind, I wanted to make cookies that remind me of our trip but are still festive enough for the holidays. 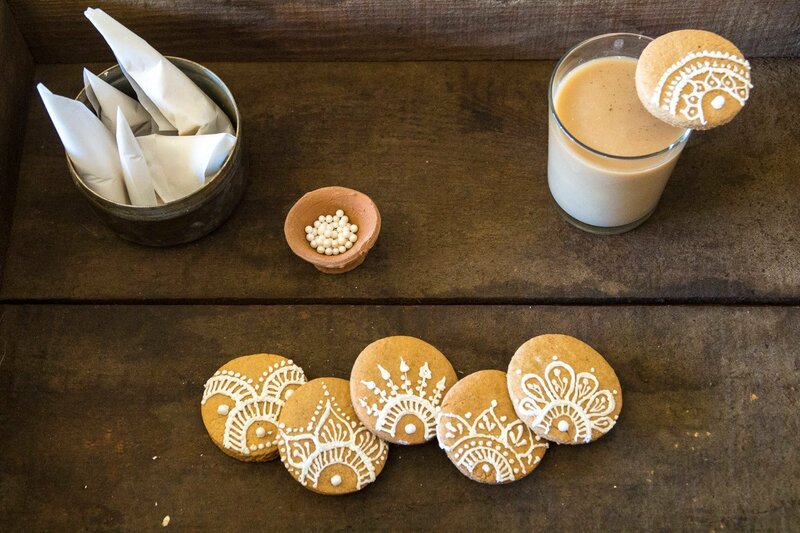 I decided to make a ginger chai masala cookie and decorate it in the traditional wedding mehndi style. It was wedding season while we were in India and that means that there were a lot of mehndi (henna) painted hands. I had a chance to get my hands painted as well! Seriously, I would walk around with my hands and feet permanently painted with mehndi if I could. In a medium bowl, whisk flour, baking powder, baking soda, salt, spices. 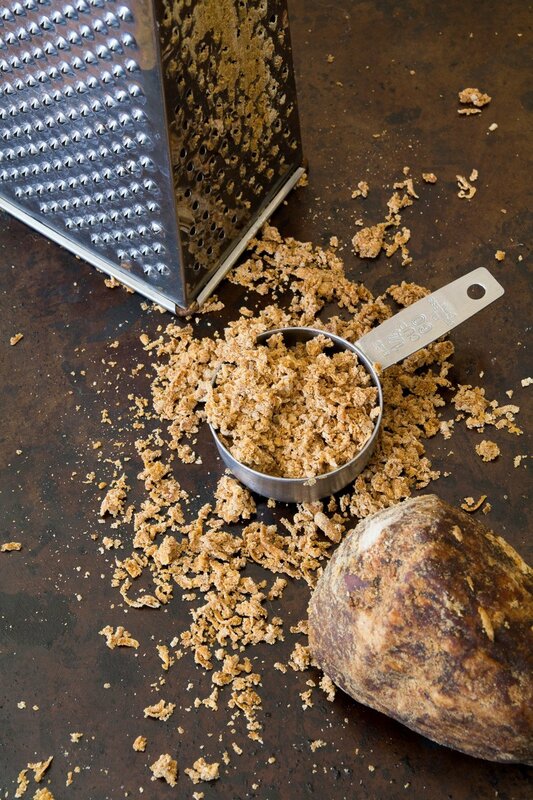 In a large bowl, beat together butter, brown sugar and egg until well blended. Add jaggery, vanilla and fresh ginger and beat until well mixed. Slowly mix in dry ingredients until well mixed and smooth. Divide dough into half and set aside at room temperature for 2-4 hours. Refrigerate if setting aside for longer. Preheat oven to 375 degrees F. Line baking sheet with parchment. Roll out dough on a lightly floured surface to 1/4 inch thick. 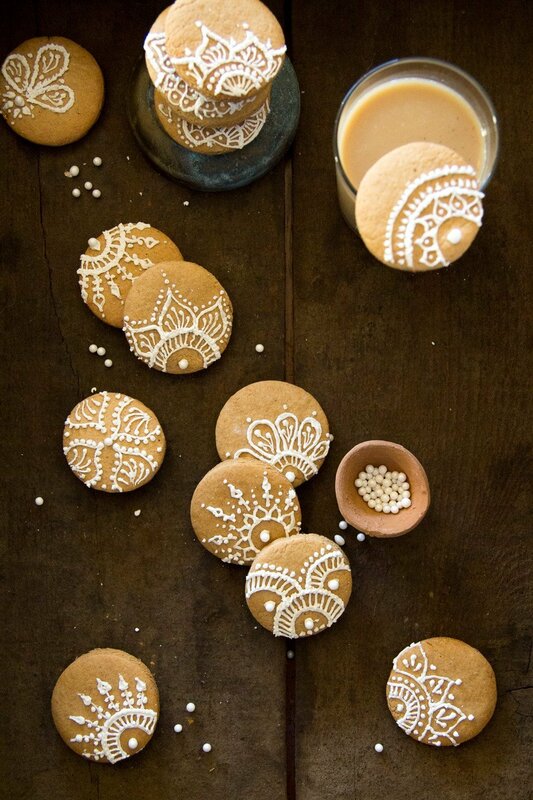 Cut out cookies into circles or desired shape. 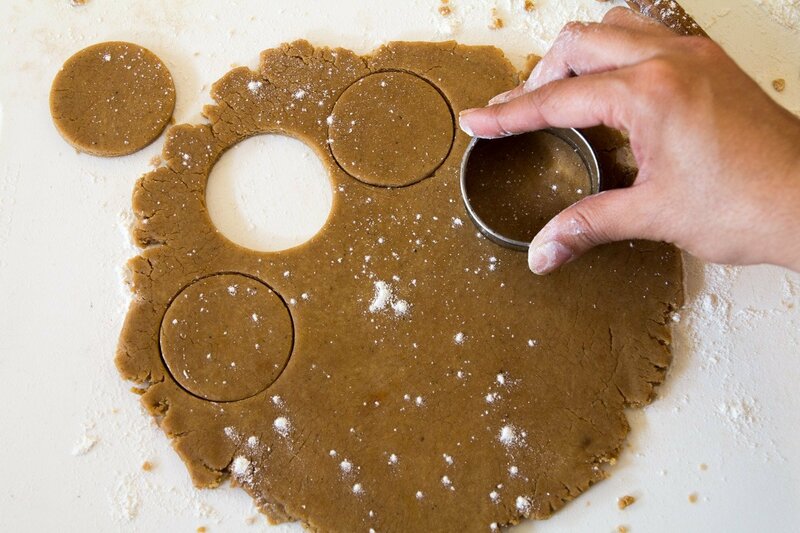 Space 1 inch apart and bake 1 sheet at a time for 7-10 minutes. 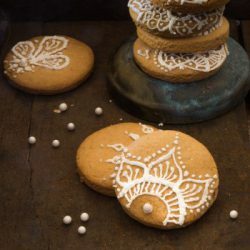 Comments on "Ginger Chai Spice Cookies"
The cookies look lovely!! Will surely make them sometime! The henna designs look beautiful as well. I really enjoy reading your blog. How stunningly beautiful, Puja - those patterns are amazing. I hope you had a wonderful holiday season and wish you all the best for 2015! Thanks Claudia! A very happy new year to you! Thanks Sadaf. I wish I was a henna artist...I mostly just dabble. 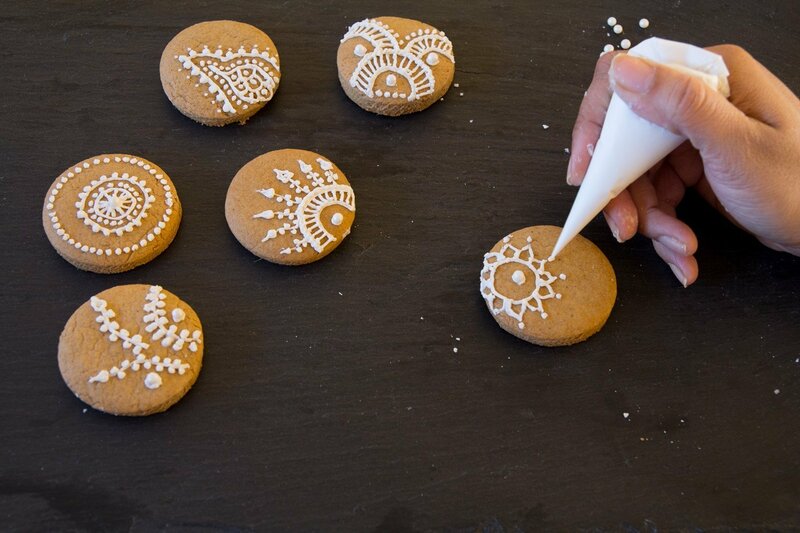 Wouldn't it be wonderful to have stencils for the novice to use? Thanks for beautiful designs. First time on your blog Puja. You have a beautiful space.